This weekend, October 11th and 12th, Open House New York unlocks the doors to the most architecturally significant buildings across the city. 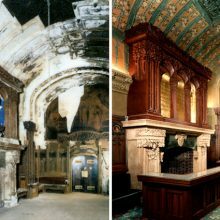 This year, OHNY will step inside four historic spaces, restored by EverGreene conservators: The New Amsterdam Theatre, Eldridge Street Synagogue, Alexander Hamilton U.S. Custom House and Temple Emanu-El. 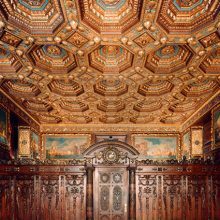 Each of these magnificent sites features awe-inspiring ornament and mesmerizing narratives, cementing their place in the architectural canon of New York City. Now utilized as the Museum of the American Indian, the Alexander Hamilton U.S. Customs House was built in 1907 by architect Cass Gilbert. This Beaux-Arts style building has undergone multiple restorations. 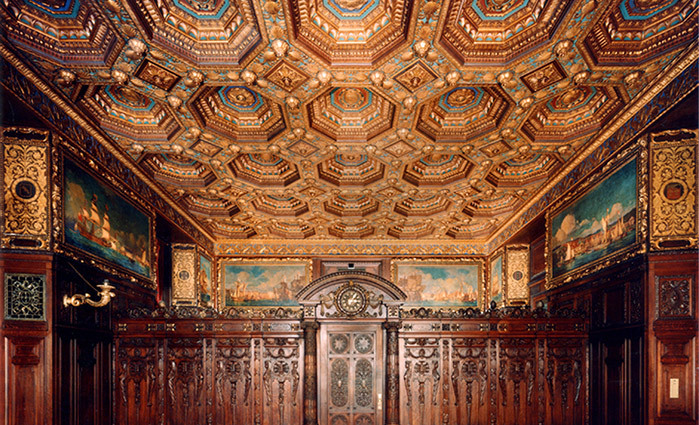 EverGreene had a significant role in each rejuvenation endeavor; restoring decorative painting including gilding and glazing; refinishing metal sconces, torcheries and chandeliers; conserving the original oak stain on end-grained floor and conserving historic murals by Reginald Marsh and Elmer Garnsey. The Eldridge Street Synagogue features an elaborate decorative scheme; blending Moorish and poetic vernacular styles. 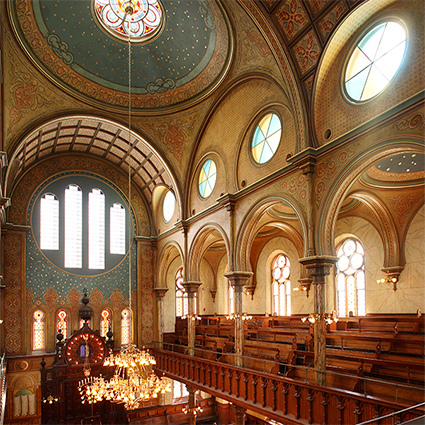 The 1887 synagogue is cited as the first major temple catering to Eastern European Jews in New York City. EverGreene first began researching and analyzing the synagogue’s historic finishes in 1887 and followed the progress of the planned restoration project until 2006, when a second phase of research and a series of mockups were completed. Conservators replicated historic decorative painting including faux-wood graining, marbleizing, gilding and wood finishing. The synagogue remains a distinctive feature in the Lower East Side area, housing the Eldridge Street Museum and remaining a space in which community members can gather and worship. One of the first theaters designed in the Art Nouveau style, the New Amsterdam hosted the Ziegfield Follies (and the Midnight Frolics upstairs in the Roof Garden Theatre). In 1993, Disney Theatrical entered into a 99-year lease and the comprehensive restoration began. EverGreene restored decorative painting, ornamental plaster and the fine art within the theatre including murals above the doors in the Reception Room which and been severely damaged. 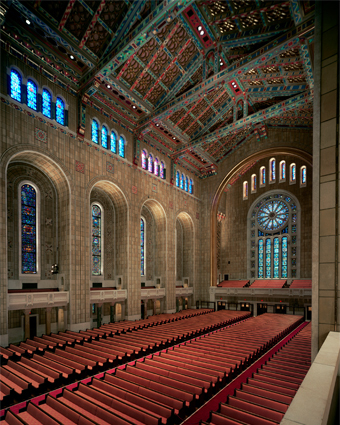 Temple Emanu-El is a prominent landmark on Fifth Avenue that combines Byzantine and early Romanesque style architecture with Moorish-style decoration. 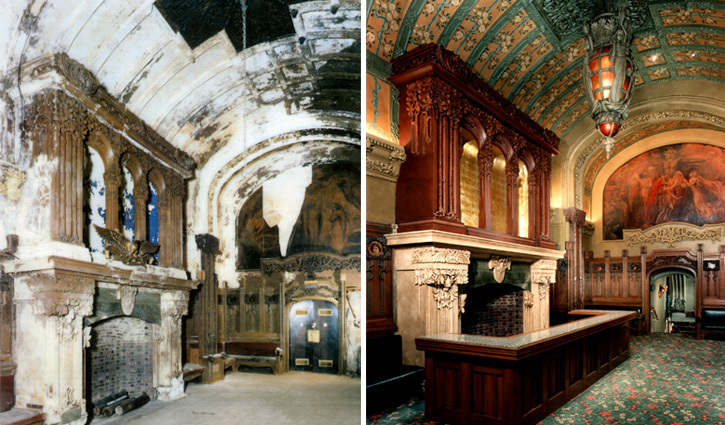 For the temple’s restoration in 2004 -2005, EverGreene conserved and restored decorative paint, ornamental plasterwork, stone, mosaics, stained glass and ornamental metal in the sanctuary, chapel and Lob¬by. 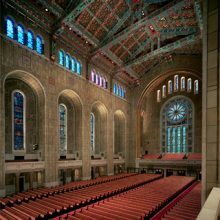 The temple remains one of the largest and most beautiful synagogues in the world.